The theme for this year’s Moorestown 4th of July Parade was stars and stripes. 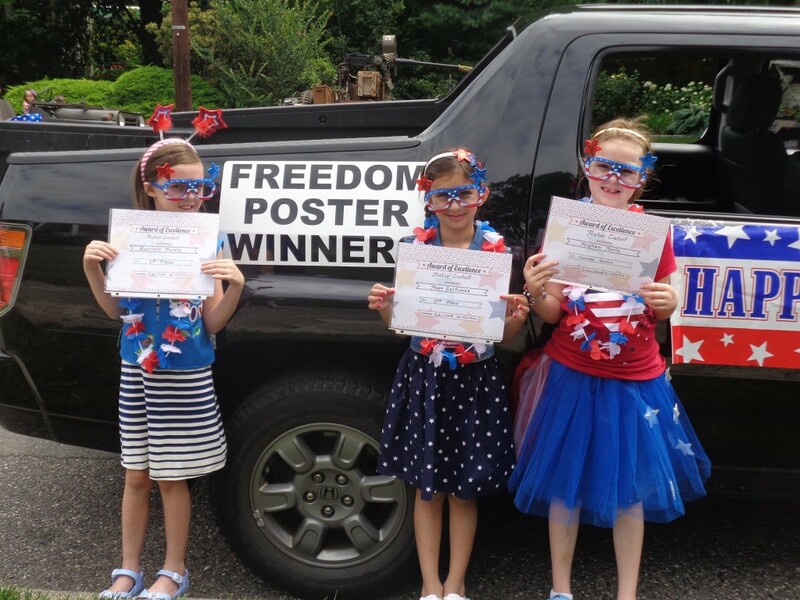 Children from the community were invited to create a poster with this theme in mind, sponsored by the Moorestown 4th of July Committee, and the freedom posters received reflected creativity and patriotic thinking. The contest, introduced by Brownie Girl Scout Troop leader, Cathi Johnson, is open to all children ages 5 through 9 that attend school in Moorestown. The winners receive a prominent place to ride with the committee in the parade, and it is a great way to celebrate the birth of our nation. The parade committee would like to announce the winners of this year’s Freedom Poster Contest. Scarlett Murphy, 7, came in first place, and Maya Saltzman, 7, came in second. Third place was awarded to Bella Lipske, 6, and honorable mention was given to Meghan North, 6. All awardees currently attend the George C. Baker Elementary School. The winners rode in the front of the parade waving their flags from the back of a red, white and blue decorated truck. The girls were dressed in patriotic attire and with headbands filled with stars. Their fine art work is now on display in the Children’s Corner at the Moorestown Library. The parade committee would like to thank all the participants for their entries and ask that they submit a poster in next year’s contest.